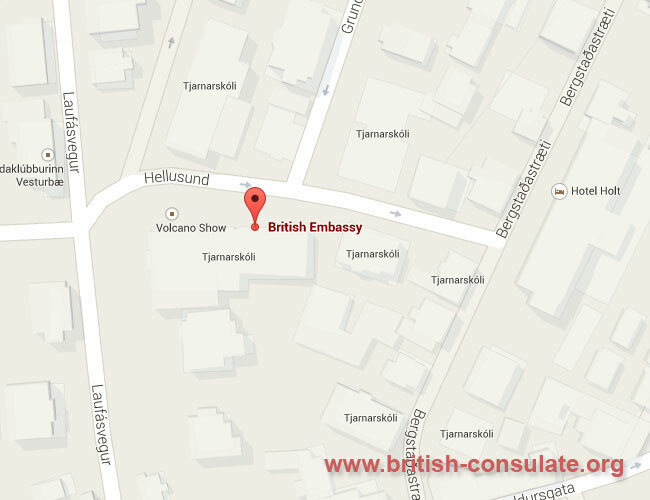 If you live in Iceland then you will be able to seek assistance at the British embassy located in Reykjavik. This embassy can issue you a British visa be it a fiancee visa or a spouse visa or even a visitors visa if you wish to visit the UK. They can also assist you in the event of an accident, marriage registration death registration or even renew you British passport. We have listed the opening hours, address and also the contact details of the British embassy in Iceland. If you are new in the area then you can ask where the Red Rock Cinema is located. The embassy is up the road from the cinema.